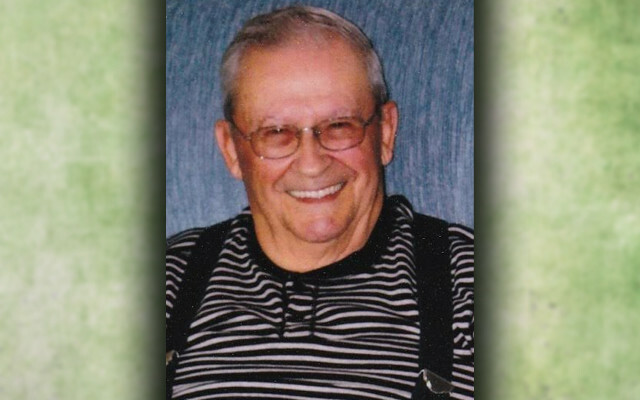 Omer A. Cyr, 92, passed away on Tuesday, November 22, 2016 at a Madawaska Nursing Home after a brief illness. He was born June 1, 1924 in St. David, the son of Albenie and Clara (Guerrette) Cyr. ST. DAVID, Maine — Omer A. Cyr, 92, passed away on Tuesday, November 22, 2016 at a Madawaska Nursing Home after a brief illness. He was born June 1, 1924 in St. David, the son of Albenie and Clara (Guerrette) Cyr. Omer was a potato farmer for 66 years. His passion was farming the land, spending time in Florida a couple months each winter, and his many, many beautiful cars. He will be lovingly missed by his two sons, James Cyr and his wife, Kathy of Madawaska, and Mark Cyr and his wife, Maribeth of Waterboro; three daughters, Rachel Couture of Ocala, Florida, Anne Thompson and her husband, Bruce of St. David, Margo Arnold and her husband, Richard of Old Orchard Beach; one daughter-in-law, Vivian Morin; nine grandchildren; 11 great-grandchildren and many nieces and nephews. Omer was predeceased by his loving wife, Albertine (Lajoie) Cyr; one son, Roderick Cyr; two sisters, Lucille Guerrette and Rena Wiemert, and one son-in-law, Robert Couture. A Mass of Christian Burial will be celebrated Saturday, November 26, 2016, at 10 a.m., at the St. David Church. Family and Friends may call at Lajoie Funeral Home 8:30 until 9:30 a.m. Saturday before time of service. For online condolences, please visit www.lajoiefuneralhome.com.